Part of the job search that can prove to be a challenge is how you to present yourself as an ideal employee. The Task Force team thought we should share some tips to sell yourself as an ideal employee to a potential employer. Whether you are looking for jobs in Guelph or in surrounding cities, it is important to know how to present yourself in resume format and in person to make an employer believe you are the best candidate for the job. 1) When making a resume you need to highlight all the reasons you would make a great employee and why your skills or education are an asset to the job. For different jobs in different sectors, you may want to highlight different skill sets and education levels that are most relevant to the job. For example, if you have a lot of volunteer experience with animal shelters, it would be very useful to include it on a resume to Veterinarian clinic, but maybe not as important to include on a resume for an Accounting firm. Additionally, if you have skills that you can prove with statistics or results, be sure to include those. For example, if you are applying to a sales job and have a great track record with customer conversion, include those numbers! Results and valuable skill sets are always a great way to prove that you are an ideal employee. 2) Be mindful of the education you include on your resume. First and foremost, don’t lie about your education. If you are selected for an interview, they employer will question education you have listed to make sure you are actually qualified for the job. Essentially, you need to be able to back up the education and skills you have listed on your resume, so while you need to make it eye-catching and valuable, be careful not to stretch the truth. An ideal employee will have the education that the job requires and can put that education to use in the role. 3) Remember to keep things concise and to the point. Employers have to go through stacks of resumes in a day. They don’t want to read too many pages on just one potential employee when there’s a pool of them to choose from. Make yourself the only ideal employee in their stack of resumes by highlight facts, proving value, and keeping it short and simple. So if you’ve been selected for an interview with an employer from the presentation of your resume, you’ve made it through part of the battle. Getting past the resume stage and scheduling an in-person, Skype, or phone interview with an employee is a sign that the employer believes you could be their ideal employee—otherwise, they wouldn’t have contacted you based off your resume. Give yourself a pat on the back here! You’ve showed how you can be valuable to the employer and you haven’t even met them yet. When you are contacted for an interview, this is where you need to “talk the talk and walk the walk”. Here are a few job interview tips to help you present yourself as an ideal employee. 1) Dress to impress a potential employer. This statement varies depending on what type of job you are applying to. What may work in one job industry may not work in a different job industry. For example, if a job candidate is interviewing for a corporate office position, a dress shirt, tie and dress pants is an appropriate option…but the same dress code would not be suitable for someone applying for a position in a factory where the dress code is far more relaxed. Sometimes before an interview, an employer may ask if you have any questions about the job. This is the perfect moment to ask what the dress code is at your potential place of work and allows you to dress accordingly. Making a good first impression in person by the way you follow a dress code and groom before an interview is important because it shows that you are serious about the position. It accounts for a large part of how the employer thinks you will physically present yourself if they hire you. 2) Be prepared to talk the talk—literally. Before you go in for a job interview, think about the position you are interviewing for and how you can translate more of your resume into results for the new position. Going back to the sales example, if you are applying to a new sales job and have statistics from a previous position in sales, be prepared to talk about how you were able to achieve this and how you could do something similar for the potential employer. Showing your past results and suggesting ways you can achieve results in the job before you even been hired by an employer, shows that you are ready to work for the team and that you are ideal for the job. 3) During an interview, the interviewer focus on getting an idea of how you can fill the position with various questions. In addition to asking questions about your resume or past job experiences, they may also ask you some questions that put you on the spot. For example, for a customer service job an employer may ask how you have handled a past situation where a customer was particularly difficult. If you need a moment to think about it, be upfront with the employer and ask for a minute to gather your thoughts. It’s much better than lying about an event that never happened, or over-embellishing the actual event. An employer may also ask how you would handle situations that are relevant to the position you are applying for. Be sure to take a few seconds to compile your thoughts to show your abilities in the best way possible. Employers understand that you may need to think about your answer before you blurt one out. By carefully thinking about and constructing an answer to an interview question, it will help your chances of landing the job and portraying yourself as an ideal employee. Keep this in mind when you are searching for jobs—everyone is someone’s ideal employee. 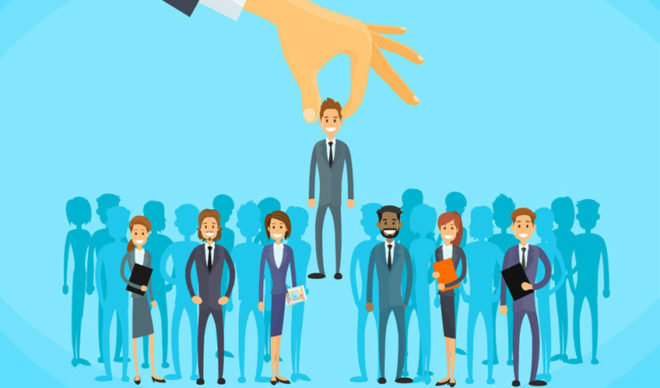 It may take a bit of time for a job seeker to find the right job that showcases them as an ideal employee, and employers may take time to find the right employee that helps them become an ideal company. By putting your best self forward and presenting yourself as an ideal employee to any employer, you increase the odds of landing your ideal job. If you need help finding jobs in Guelph or know someone is looking for jobs in Guelph, Task Force is ready to help! We take our job seriously so you can find employment. As a staffing solutions company, we find ideal employers and best candidates out there so we can match them together. We post new jobs opportunities in Guelph to help job seekers and employers find their best work scenarios. Best of all, you do not need to pay us a cent to help find you a job! Job seekers can use our services as a way to find jobs in Guelph without spending any money. For all the jobs we post on our job boards, the pay rate is exactly what is listed. If you are interested in our job postings, or need help with your skills and presentation, please contact Task Force today. We’ll get you on the road to employment. Why Are Soft Skills Important to Find a Job?